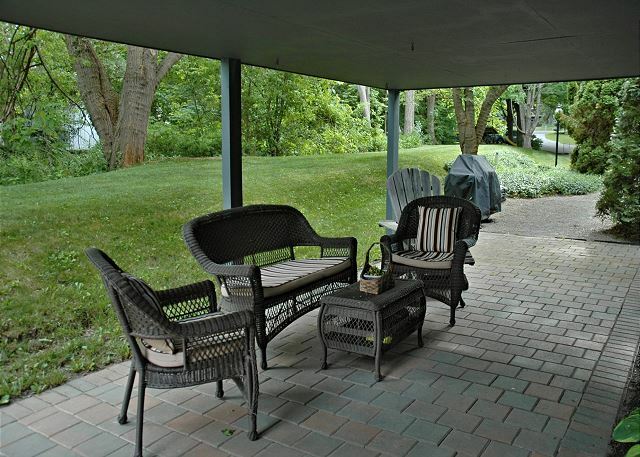 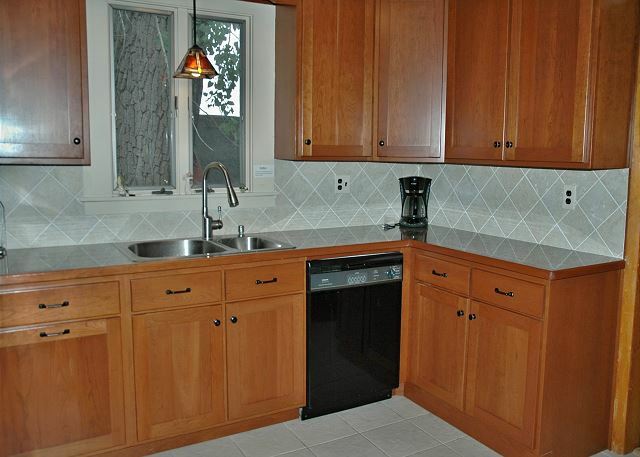 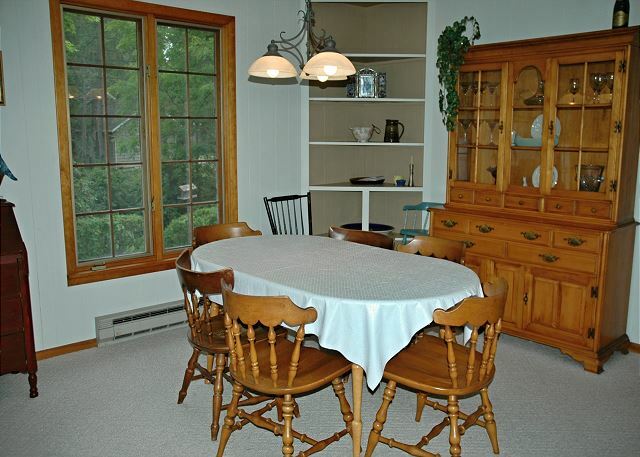 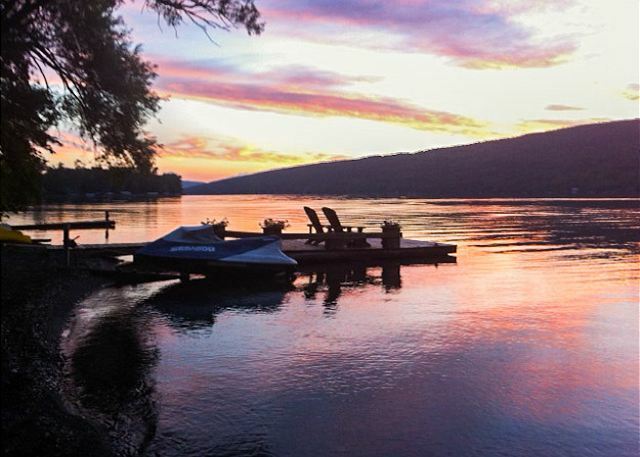 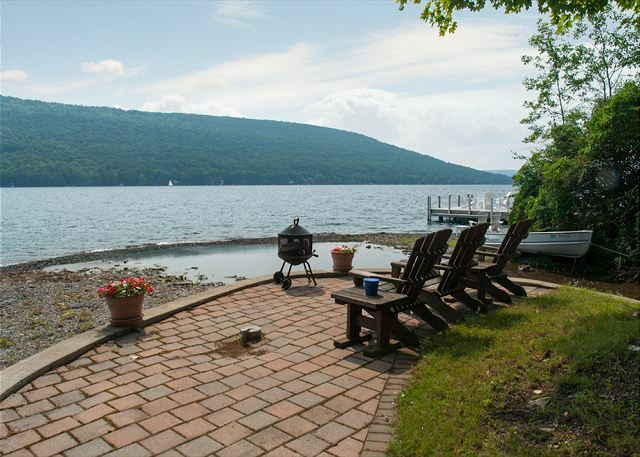 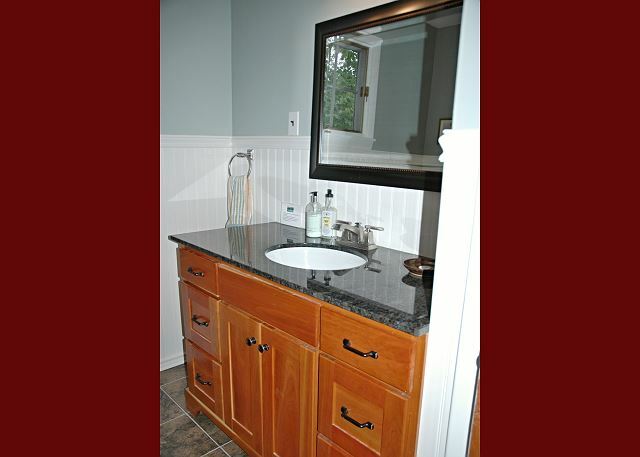 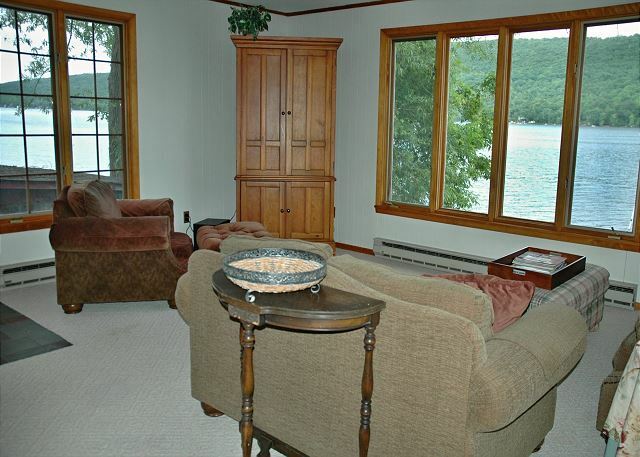 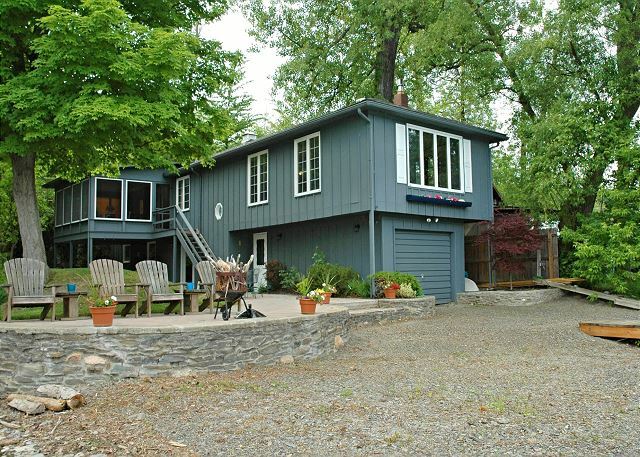 Private and spacious describe this lovely two story home on the west side of Keuka Lake. 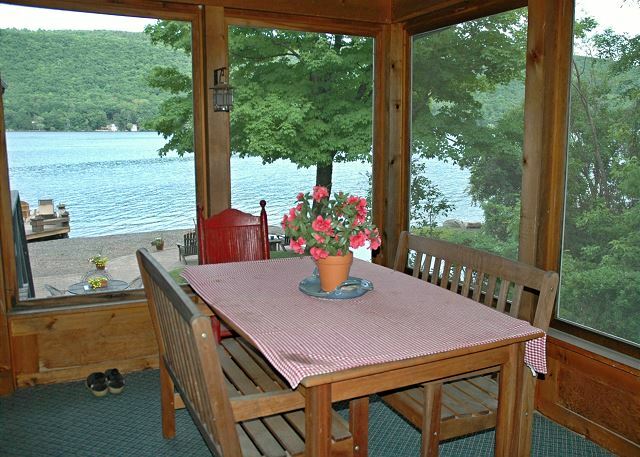 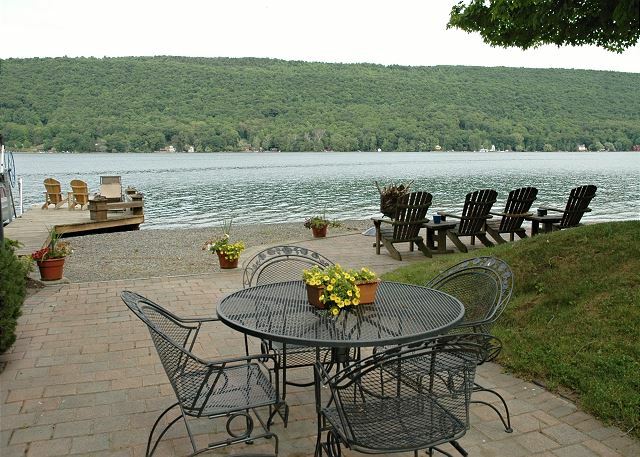 Enjoy the calm waters, or sit on the lovely lakeside patio. 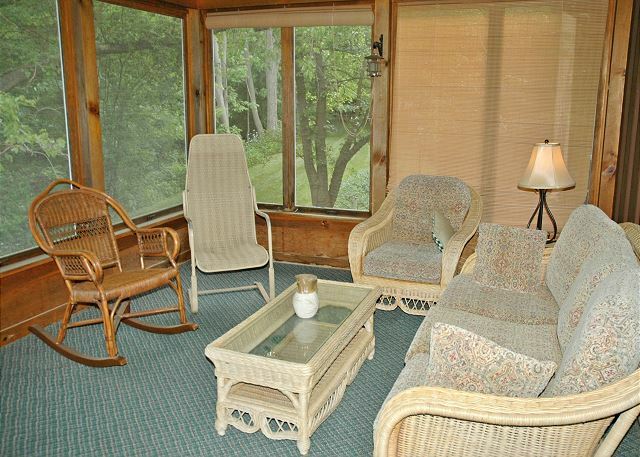 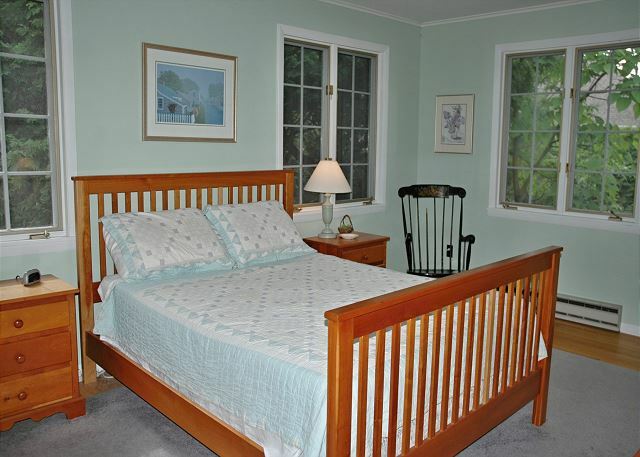 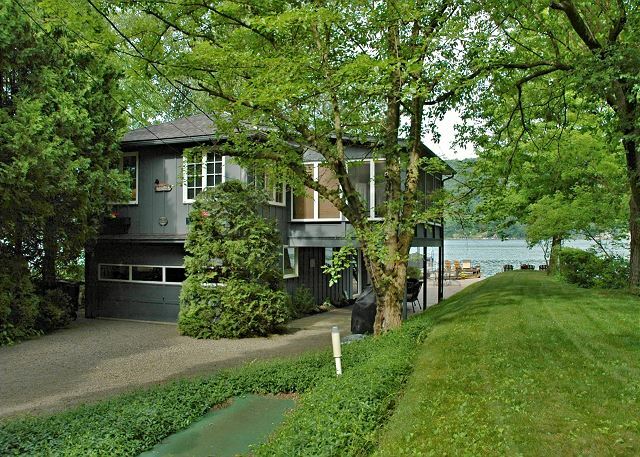 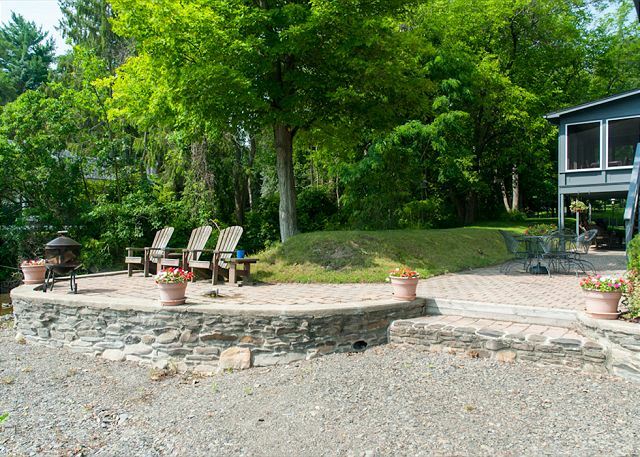 This very private spot is located right on Roff's Point, and within a few miles from delightful lakeside restaurants. 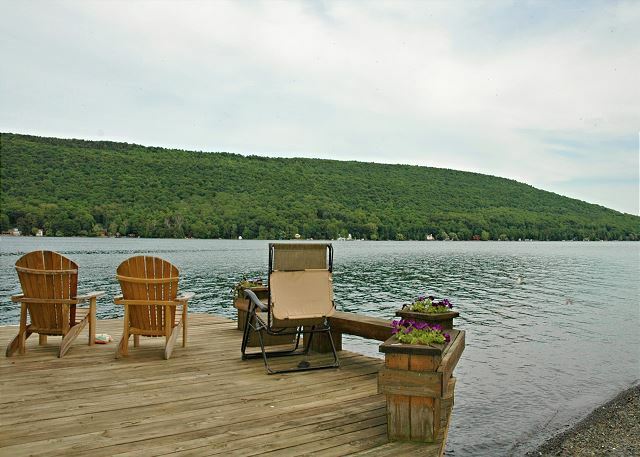 The natural, wade in lakefront for ideal swimming. 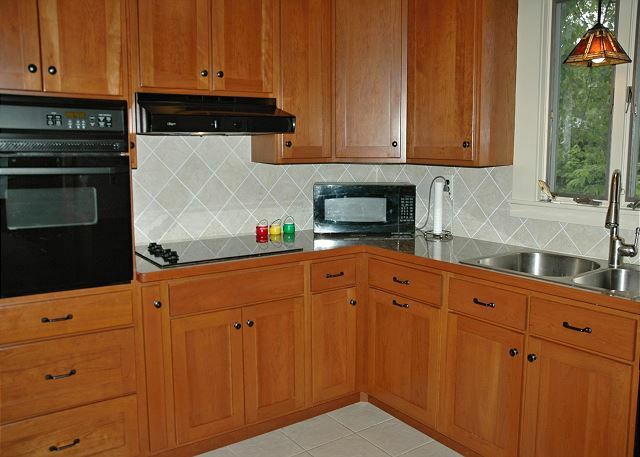 The homes entry is on the first floor and leads directly into the foyer. 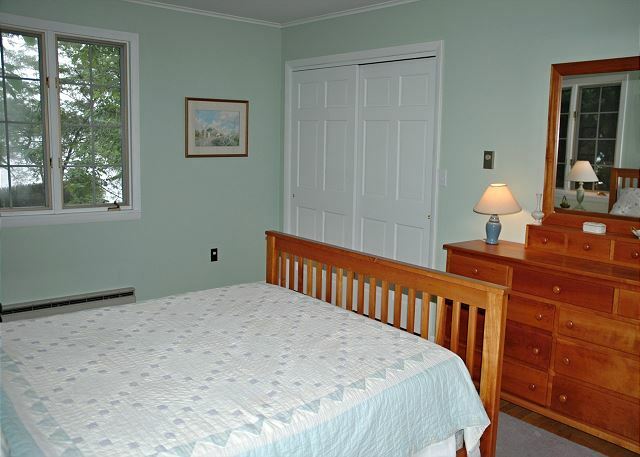 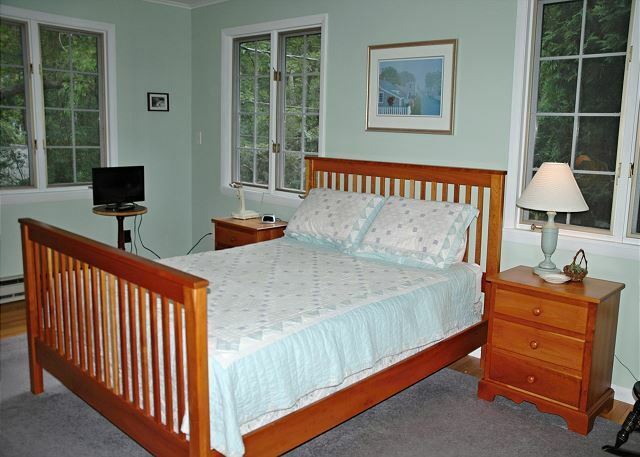 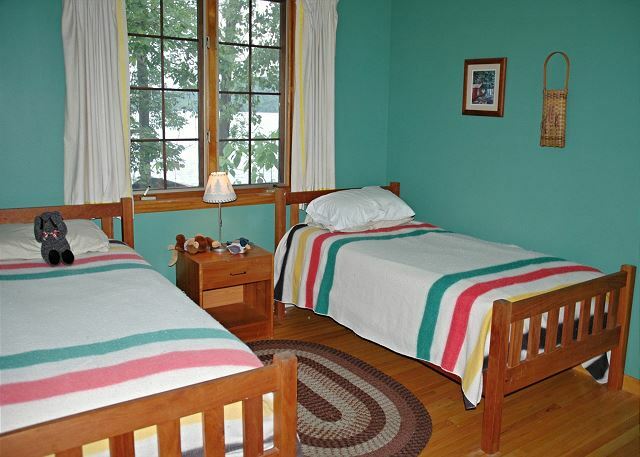 There are two bedrooms and laundry on first floor. 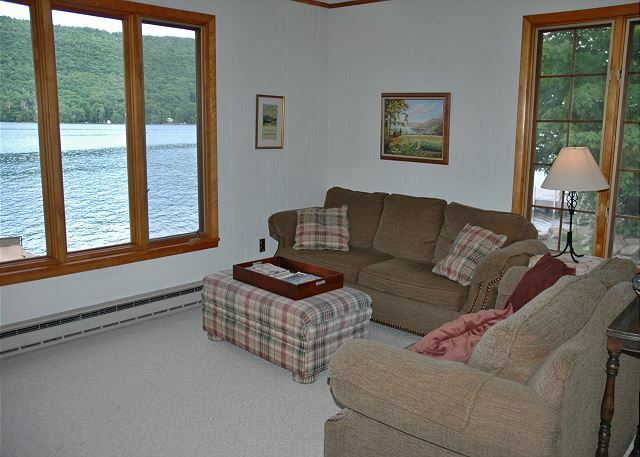 Second floor features a large, open living/dining room overlooking the lake, custom cherry kitchen with modern appliances, screen sitting porch with lake view, and two additional bedrooms.